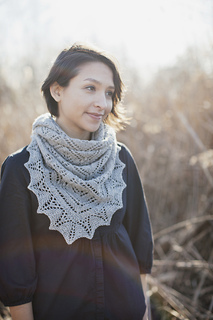 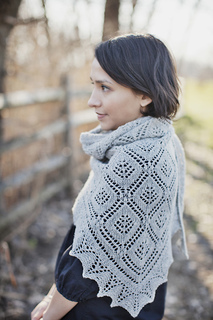 This shawl is worked in three parts. 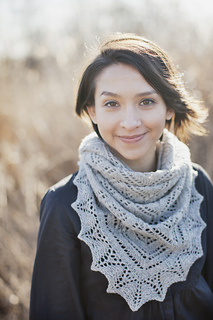 The first is the central lace triangle, which begins at the bottom tip with 3 stitches and is increased as it is worked towards the top of triangle. 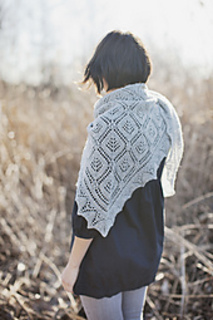 After completion of central triangle, stitches are picked up along the diagonal side edges to work a lace edging. 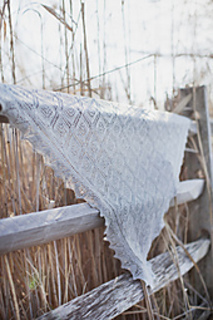 Finally, you will resume knitting across the live stitches at the top of triangle, picking up additional stitches from the side borders, to work the top border.